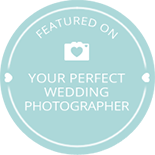 Choosing the right photographer for you is so important. For every wedding I will look to deliver the following chapters so you have a timeless account of your day. Let's do something different, I like to leave your evening with a piece of art, something unique, something special that you can hang on your wall and treasure forever. A lot of photographers don't like family shots, I am not one of them - why not make them fun?! From the first dance to your guests being crazy, I am there to capture it all.